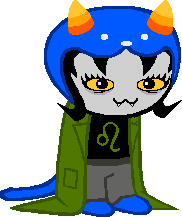 Cult comic MS PAINT ADVENTURES has INTRODUCED a feline troll – NEPETA LEIJON – in the latest arc of Homestuck. You prowl the wilderness for GREAT BEASTS, and stalk them and take them down with nothing but your SHARP CLAWS AND TEETH! 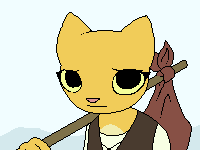 You take them back to your cave and EAT THEM, and from time to time, WEAR THEIR PELTS FOR FUN.